Decorating a small space is always a tricky proposition. 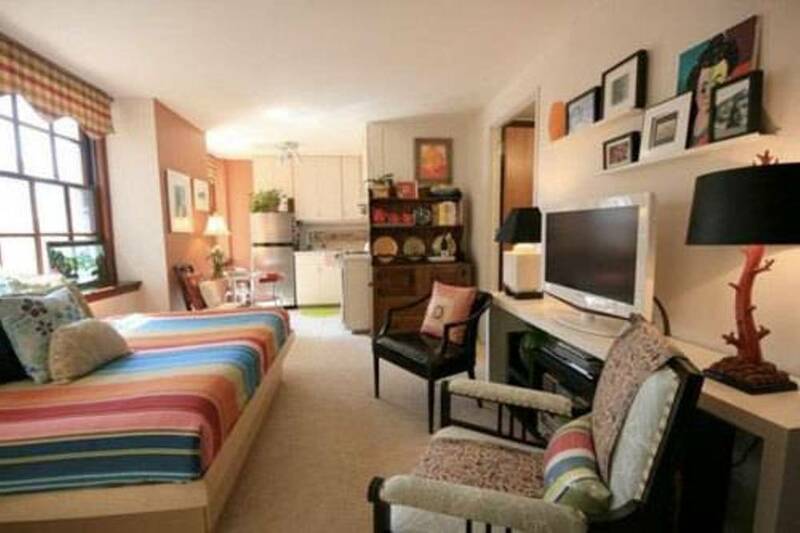 With the right touch a small room can look quite cozy, but without that special touch it may just look cluttered. Making the most of small spaces and tiny rooms is an art form in itself, and one that can be quite difficult to master. Employ plenty of creative storage solutions. Storage is always a problem in a small space, but there are ways to maximize the limited space you do have. From closet organizers to colorful storage cubes and shelving units, there are plenty of ways to keep your valuable possessions close at hand without increasing clutter. Make the most of your vertical space. A small room may be limited in terms of horizontal space, but chances are there is plenty of unused vertical space available. Adding some tall shelving units is a great way to make use of that wasted space. If your kitchen is particularly tiny, consider replacing full size appliances with smaller units. Small compact refrigerators are especially good for apartment living, but they can make sense in small homes as well. Buying a stove with a built in microwave can eliminate the need for an additional appliance and additional storage space. Choose a compact vacuum cleaner that can be easily stowed away when not in use. There are many great compact vacuums on the market, many with all the attachments you would expect in a full size model. You may even want to consider one of those small robotic vacuum cleaners. Besides doing the housework for you, these handy gadgets are designed to return to their charging station when they are done cleaning the room. We’re always looking for an inexpensive way to get some exercise during the winter. One of our favorite activities is the FREE ice skating in Rice Park – and it is only $4 if you need to borrow a pair of skates (or FREE if you are a Wells Fargo customer). The rink is open seven days a week! Why not bring your friends and family and make a day of it? Spring in Winter? Add An Herb Garden! The perfect solution is an herbal window garden. If you have a kitchen window, you can grow your own fresh herbs right where you cook! Imagine just snipping a fresh branch of rosemary or parsley to toss in the soup pot or a bit of mint to add to your chocolate flan. To get started, all you need are some containers, soil, and some herb plants or seeds. Seedlings are recommended since some herbs are difficult to start from scratch. Your local nursery will have seedlings for sale. You can buy a small bag of soil while you are at the nursery as well. Potting soil is perfect for your new plants. As for containers, which ones you choose depends on the size of your window. You can get nice plastic or wooden planters at the dollar store or any large craft store if you want to plant everything together. Or you could go with smaller, individual planters. 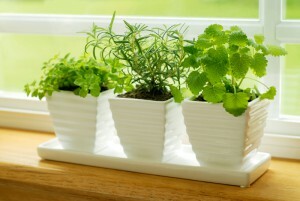 Add a couple of hanging ones in the corners of the window for extra herb-growing space! Once you have your supplies, all you need to do is transplant your seedlings from their little cups to the planters. Put a layer of stones or gravel at the bottom of each plant pot to aid drainage and fill to within two inches of the top with potting soil. Now make a hole for your new plant. Seedlings are delicate, so don’t be yanking them out of their cups. Instead, put your hand over the cup, allowing the seedling to stick up between your fingers so you can support the stem. Turn the whole thing upside down and use your other hand to gently loosen the cup from the plant. Many seedlings will be somewhat root bound, so it might be difficult to get the cup off. As long as you are supporting the fragile plant, you can shake the cup a bit to get it off. Now, turn your plant over and stick it in the hole you made in the planter soil. Gently tamp fresh soil down around the roots and give it a bit of water. Being transplanted can be a trauma to a small plant, so make sure it has enough water to recuperate. Your new plants won’t need much care. As long as they get daylight in the window and you keep the soil moist (not wet), they should thrive. Once they have reached about five inches in height, you can start snipping. The frequent cuttings will stunt their growth and make the herbs bushier, perfect for indoor growing conditions! Sharing a laundry room with other people requires that everyone cooperate and act courteously towards one another in making sure that everyone has a chance to get their laundry done. Know your laundry facilities – Learn the time each machine takes to avoid leaving clothes abandoned for long periods of time. A typical washer operates for about 30 minutes on average, while a dryer can take between 45 to 60 minutes. Never stop another resident’s laundry in mid-wash or dry to use it. It’s not only rude, but you never know what is inside the machine, whether it’s regular clothes or a heavy duty blanket. Never insert another resident’s wet clothes into a dryer. Every person has their own specific way of drying clothes and their are some items that shouldn’t ever be placed in the dryer. Avoid using heavily scented washer detergent. It can leave a residue and smell behind for other users of the same machine. If there’s a limited amount of washers and dryers available and another person’s clothes have been in there for a long time, please be considerate. Place their clothes on a clean plastic or garbage bag on a counter. 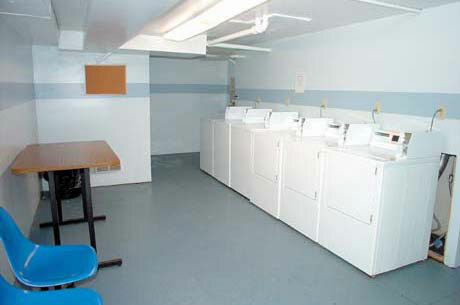 Each resident is responsible for their own laundry, but it is also a two-way street way of using shared laundry facilities. Always clean out lint trays and any spills you may have made before leaving the area. If you have time available during off peak hours (after work or weekends), it can be a good time to get your laundry done quickly and without waiting! These few little things can make sharing a laundry facility with others a much easier thing and keep the building nice and clean!